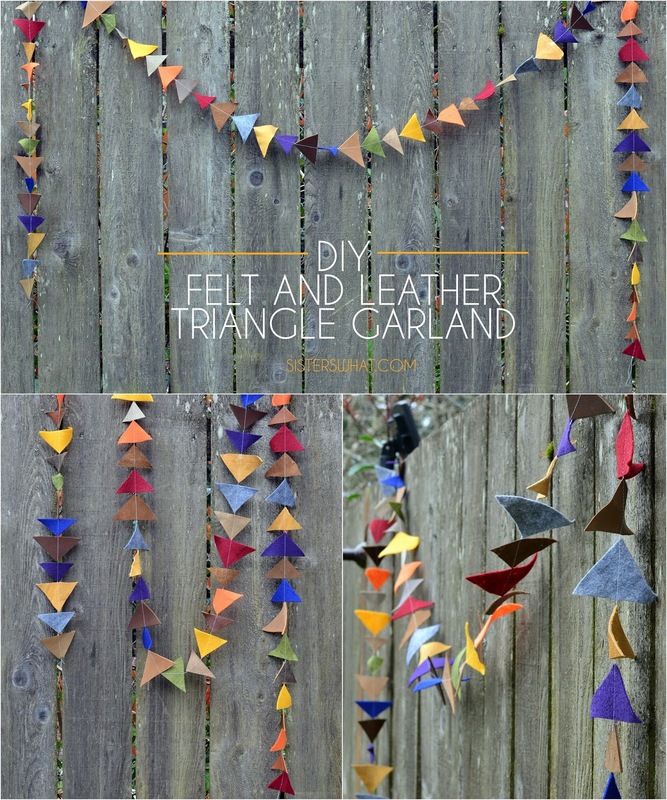 ' DIY Felt and Leather Triangle Garland - Sisters, What! Hopefully when you see this post, I'll have had my baby girl by then. 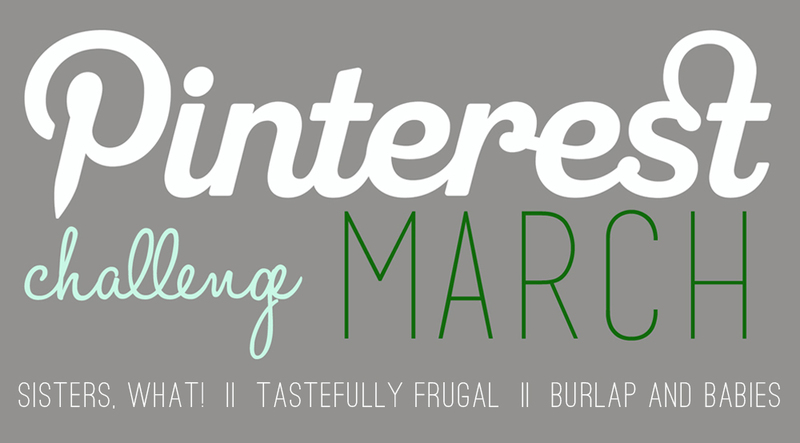 It's time for another pinterest challenge, March edition and I didn't want to miss it so I actually did this project at the beginning of March. Plus, I had some extra time just trying to keep busy while waiting to have my baby. For my project this month, I decided to make something for the babies room. 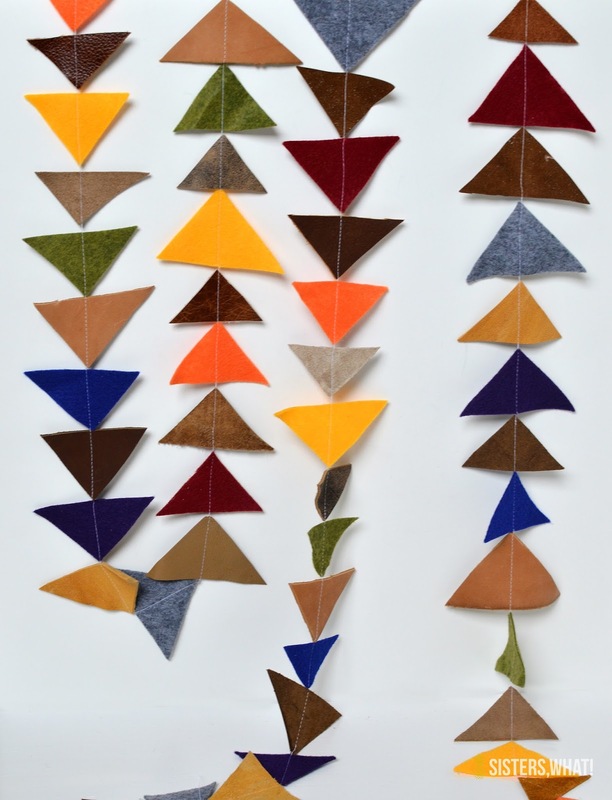 I was inspired by this felt triangle garland and thought it'd be really fun to make with leather scraps and colorful felt. After I made it though, I loved it so much and realized that it could be used for decorating on any occasion. 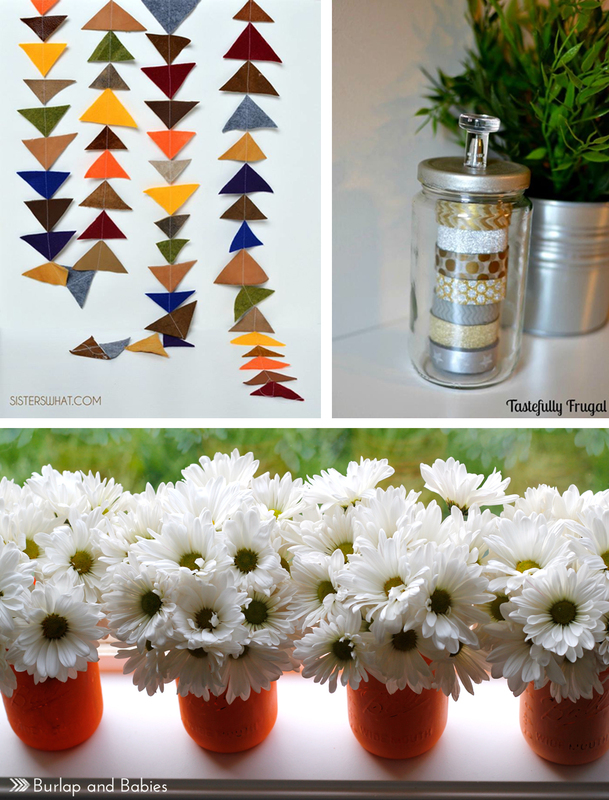 But it will also be perfect for her room, however I might be making some more of these. 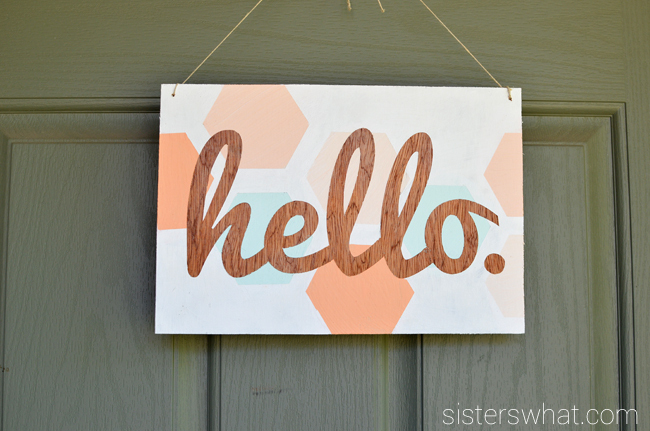 Like I've said before, right now in my life, I'm a BIG fan of quick and easy projects (it's all I can seem to have time for these days) and this is one of those projects. 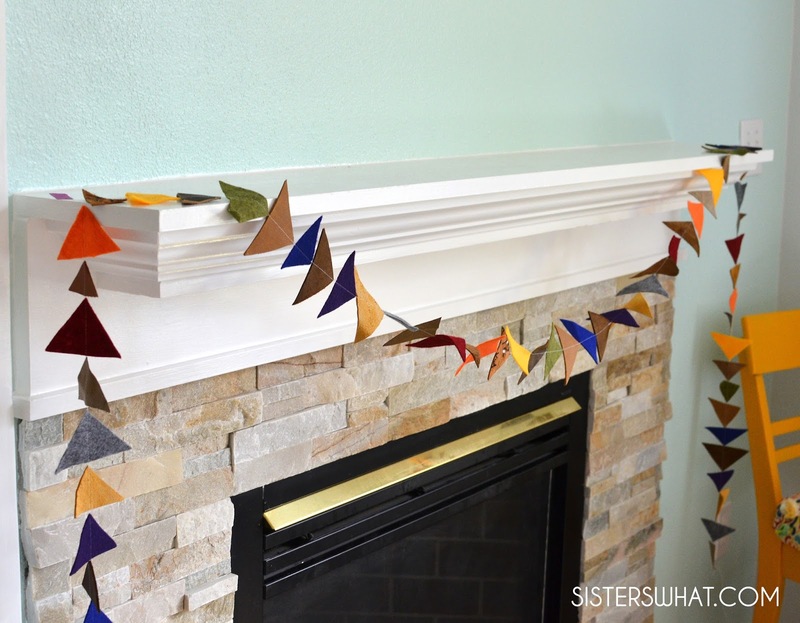 *if you don't have a sewing machine, another idea would be to glue the triangles on to yarn. 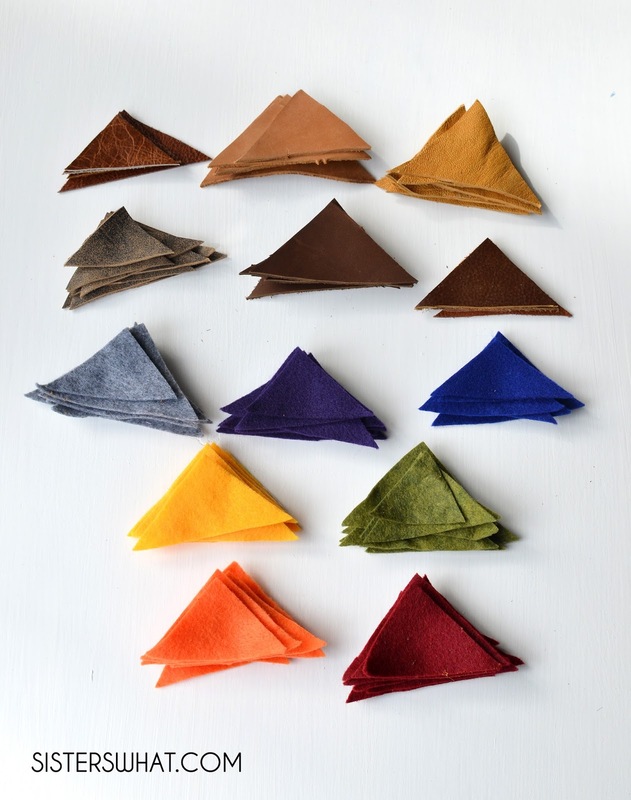 pick you're choice of colored felt and leather. I had a few scraps of different type of leather. 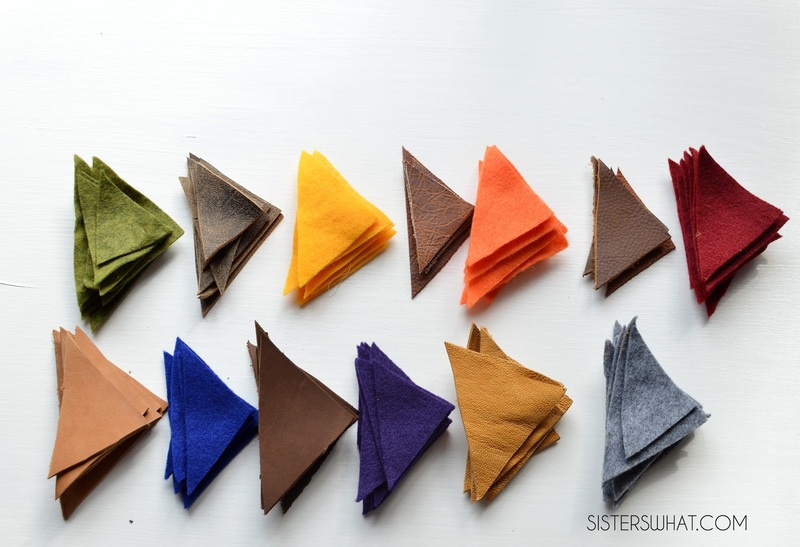 Cut out 5-10 of each color of felt and leather (depending on how many different kinds you have). 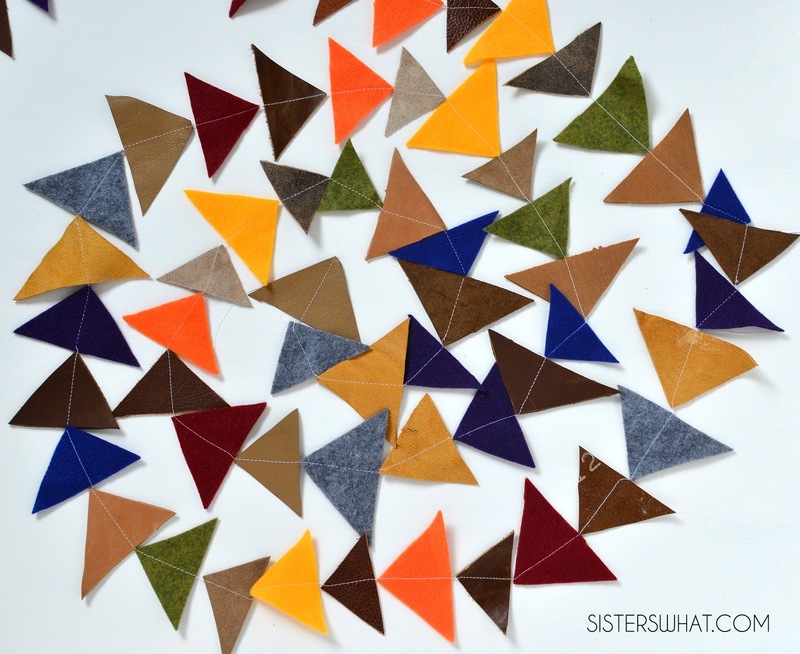 My triangles were roughly sized 3.5 by 4.5 inches, but some were smaller than others. This gave the triangle garland and unique look. line up you're felt and fabric triangle piles in the order you wish them to line up in. 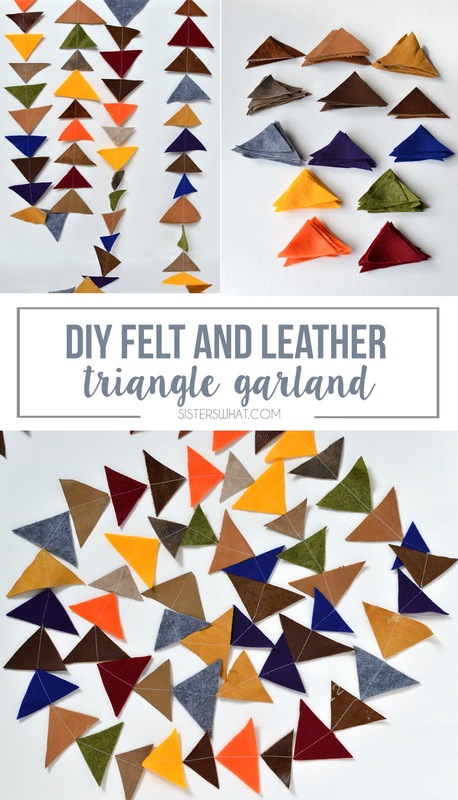 Then one by one, sew them down the middle of each triangle (alternating in the colors and leather) until you decide the garland is long enough. And that's it, you're done. 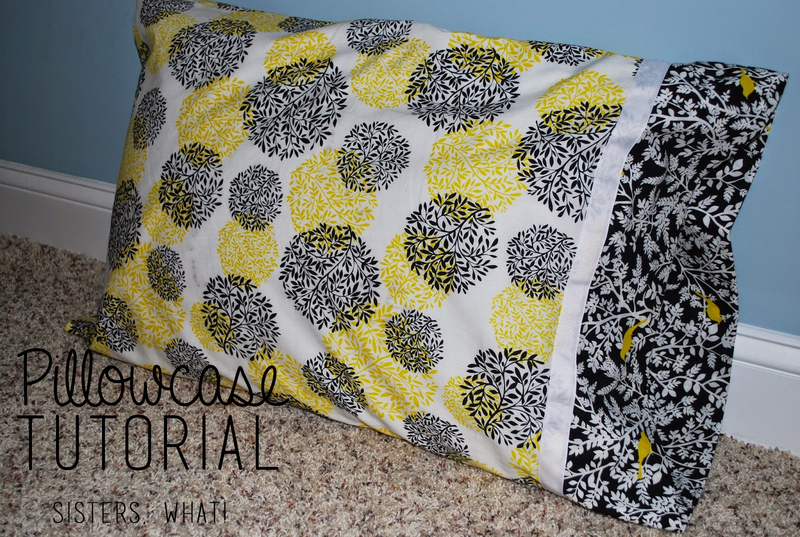 This project probably took me 30 minutes max from cutting to finished sewing. Like I said, quick and easy and doable during nap and quiet time. 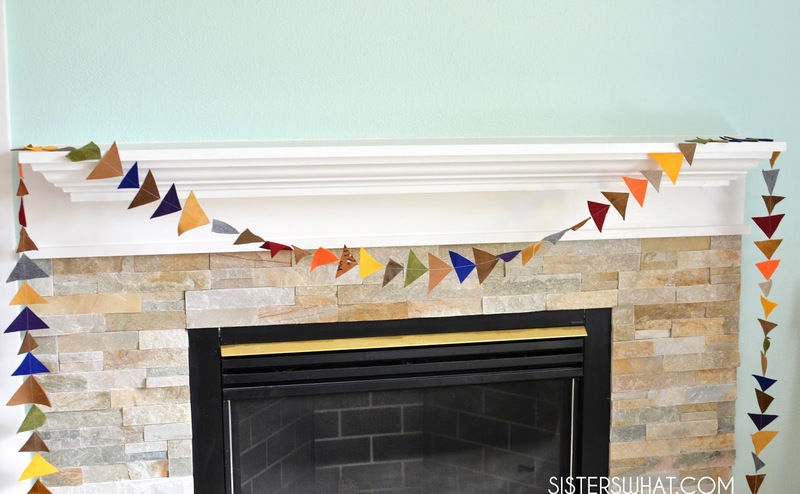 What a cute garland! I love this so much! 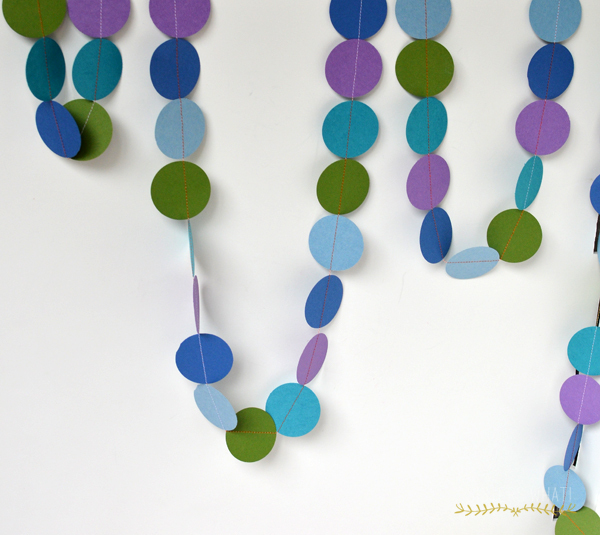 I love making garlands from fabric and paper scraps! The color and fabric combos you chose here are great. I love how this turned out. Beautiful colours and you are right, this could be used in so many places and ways. Ah, you added leather! Sold me instantly! Thanks for sharing with us at Motivational Monday! Hope you will link up again tonight.